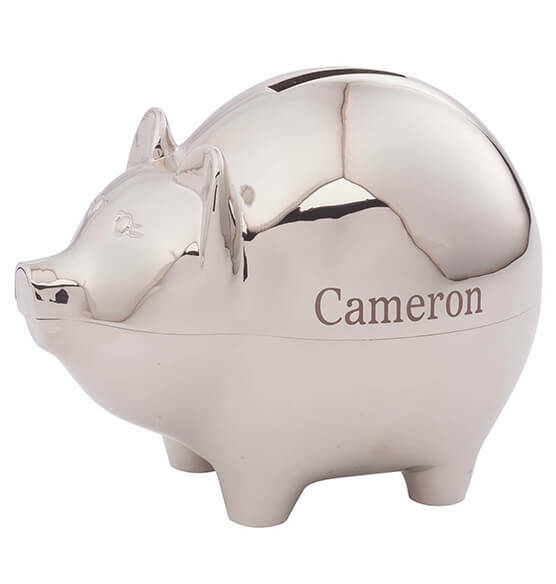 This Personalized Silver Plated Piggy Banks a fun gift for savers of all ages ... earning extra "interest" when personalized! A great way to help encourage saving. Beautifully designed with a cute face and engraved eyelashes. 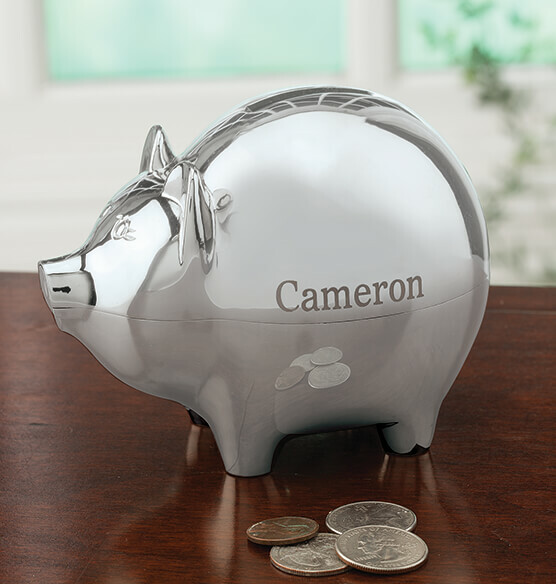 We'll engrave with one special name, creating a keepsake gift for holidays, birthdays, baptisms or any occasion. Specify name.